Scroll down and see the other videos below. 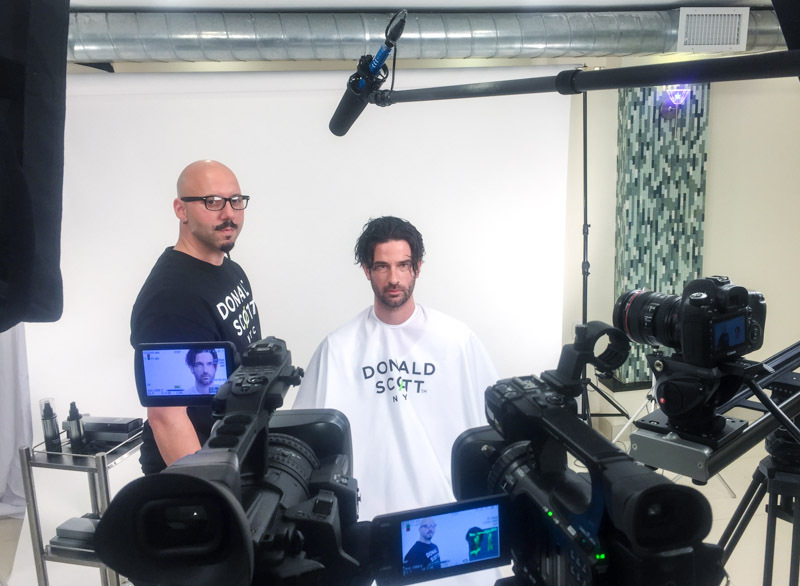 The product videos are scripted voice mixed with live sound from the hair stylists. This British ethnic voice gives the the brand a progressive modern feel. That European edge contrasts nicely with the gritty NYC accents of the hair stylists . The modern motion graphic styling, a bold font in an accent green without drop shadow and underscored with modern club music. Although we only shot in one day, we were able to produce seven product videos, three tutorial videos, and four “how to” videos for their support page. We still have more material from the day that we intend to edit for their newsletters this year. If you want this sort of productivity from your video content team, look no further. Fill out the form on this page and get an easy upfront fixed bid proposal back from us within one business day.